The legal services sector makes an enormous direct contribution to the economy. 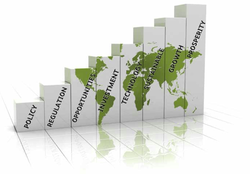 In the UK alone this amounts to approximately 2% of GDP and, globally, the legal services market is expected to be worth £450 billion by 2015. This flagship conference is designed to help you understand how you and your business can influence and increase your contribution to economic growth, at home and abroad. The prestigious line-up of speakers will explore the critical role of legal services in economic development. They will provide expert insight and market intelligence on key issues for law firms operating in the global economy. You will hear in-depth analysis of new developments in legal practice and opportunities for business growth at home and abroad.